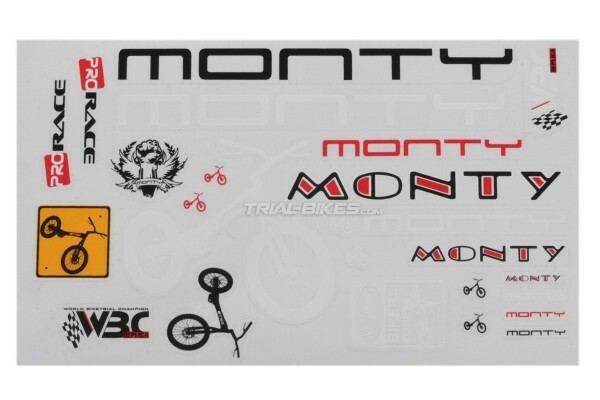 - Complete Pro-Race original sticker kit from Spanish brand Monty. 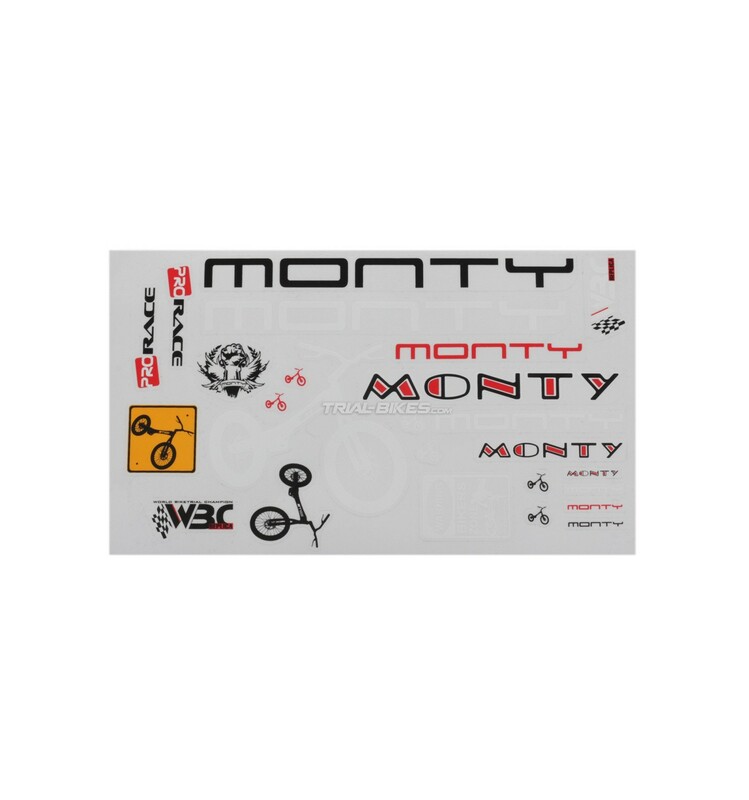 - Includes 25 Monty stickers of mixed sizes and designs. - Supplied as a 255x155mm sheet.